The Atlantic Fellows for Social and Economic Equity (AFSEE) programme at the International Inequalities Institute is based at the London School of Economics and Political Science. One of the world’s leading institutions for the social sciences, LSE was established to further the aim of bettering society, focusing on research into issues of poverty, inequality and related issues. Our AFSEE fellows benefit from being part of this active hub of research, joining academic and social events to interact and share ideas with academic research staff. 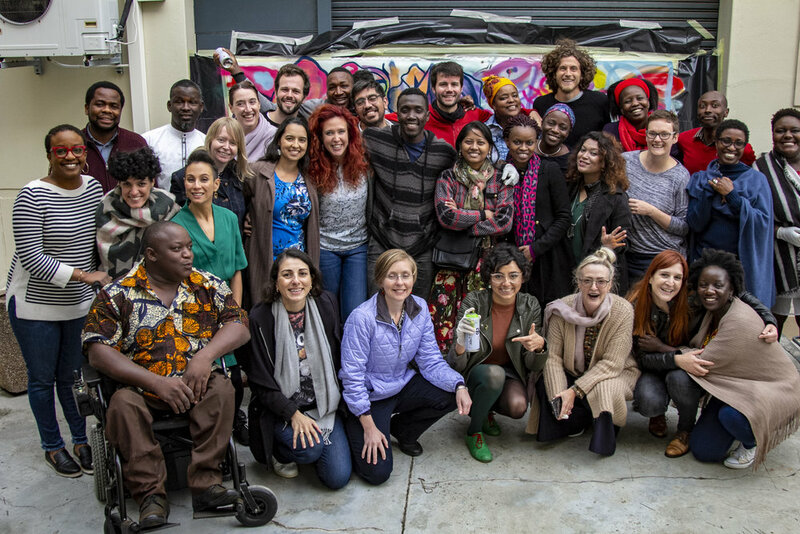 Atlantic Fellows for Social and Economic Equity is one of seven interconnected Atlantic Fellows programmes, which together are working to create a global community of leaders for a better world. to meet, learn from one another and connect with the global Atlantic Fellows community. Images, symbols and stories reflect deep narratives about our world and who we are. Narratives can lead a nation to war and keep communities in poverty, but they can also dismantle bias and energize movements. The Narrative Initiative is a training and networking resource for Atlantic Fellows and social change leaders. The Initiative will develop Fellows’ understanding and capacity to use culture, language and stories that move hearts and minds. The Atlantic Fellows for Social and Economic Equity programme is funded by a generous grant from The Atlantic Philanthropies. From its inception, The Atlantic Philanthropies has invested in people and in their vision, opportunity, and ability to realise a better world. The Atlantic Philanthropies will invest over $600 million, alongside other partner organisations and governments, to support the work of the global network of thousands of Atlantic Fellows over the next two decades, and beyond. This investment – in both the Atlantic Fellows and the institutions that will support and nurture them – is the foundation’s final and biggest bet ever.